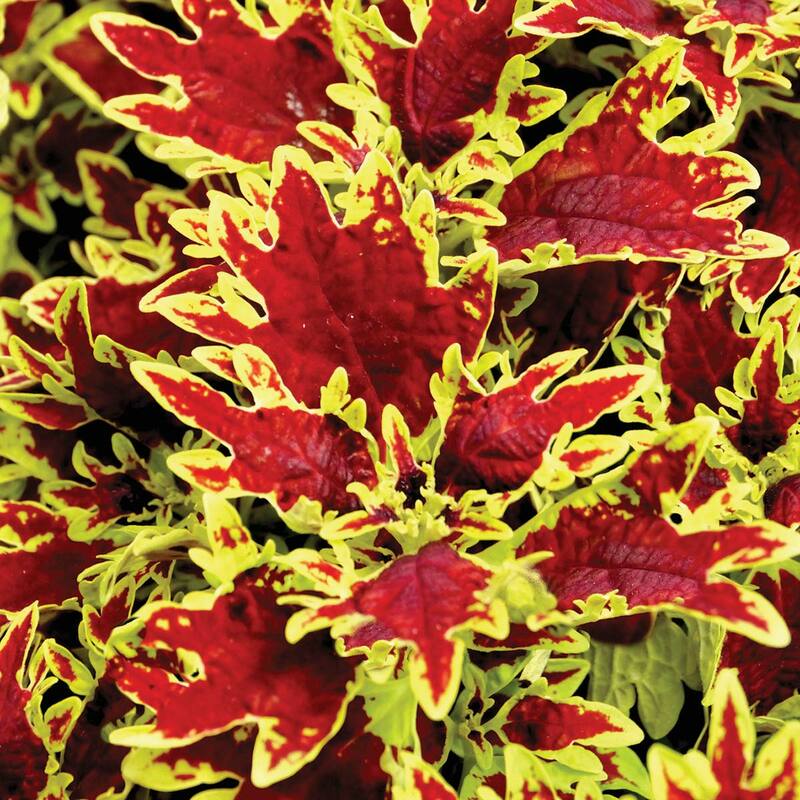 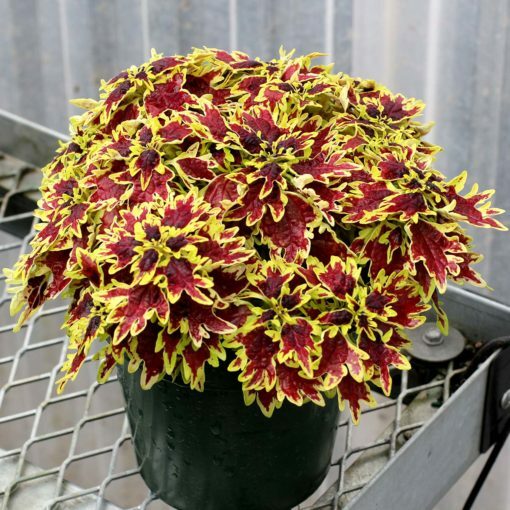 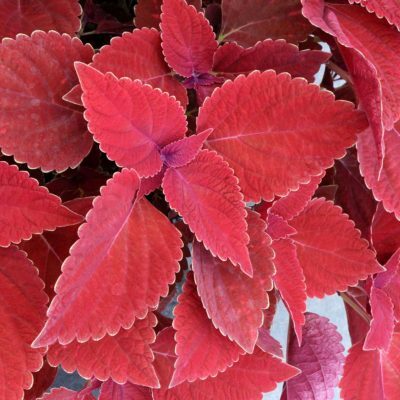 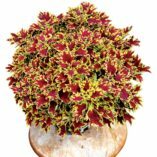 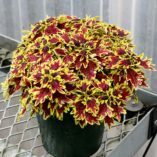 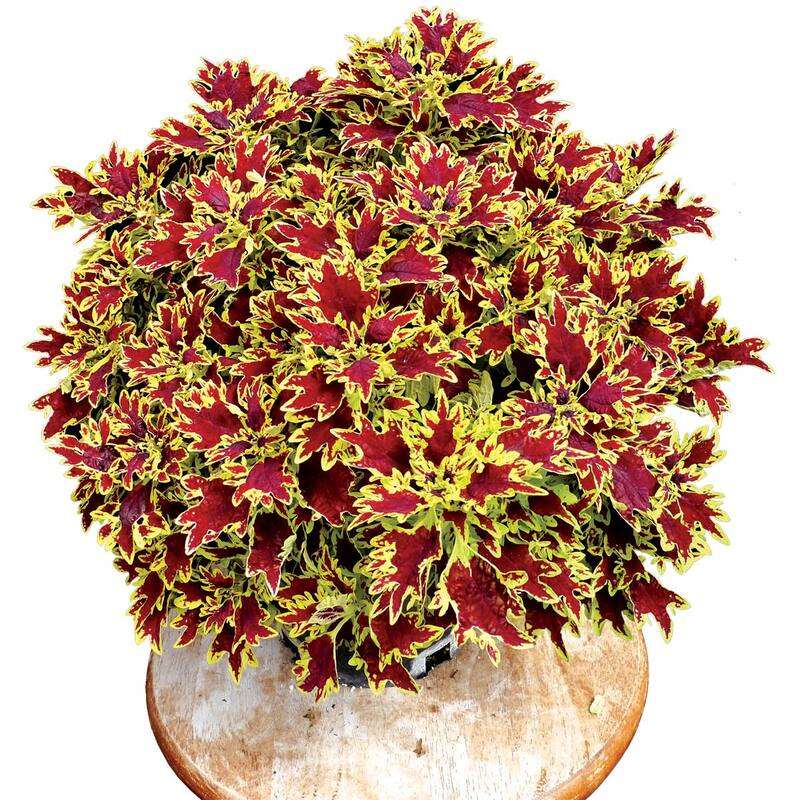 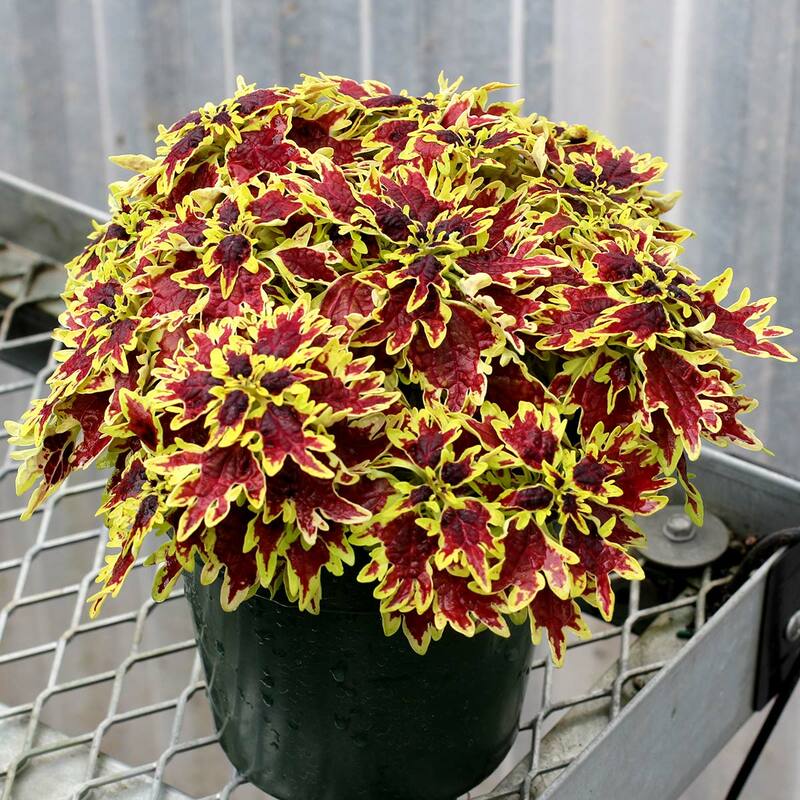 Coleus TERRA NOVA® ‘Bright Spark’ | TERRA NOVA® Nurseries, Inc. 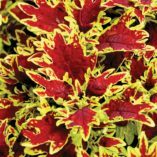 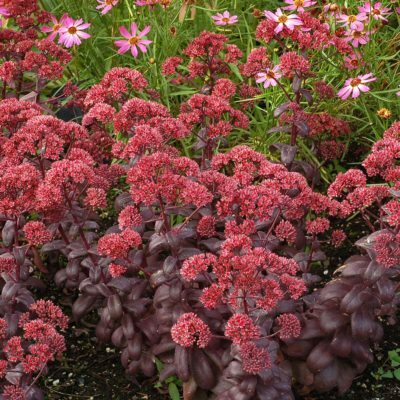 This low spreader is self-branching with brightly colored foliage of gold triangular, lobed leaves with red centers. 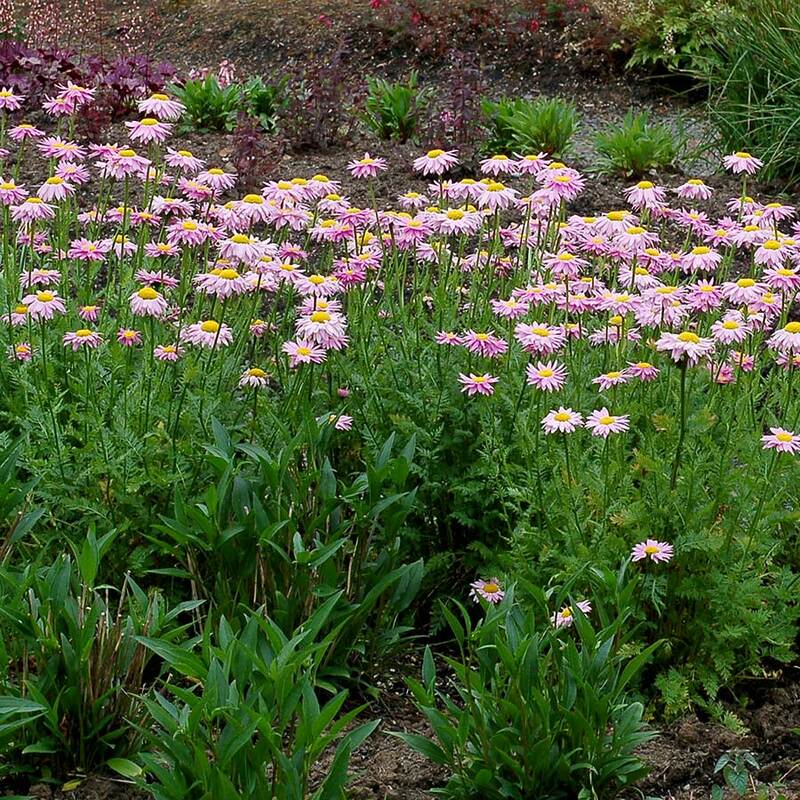 Slow to flower. 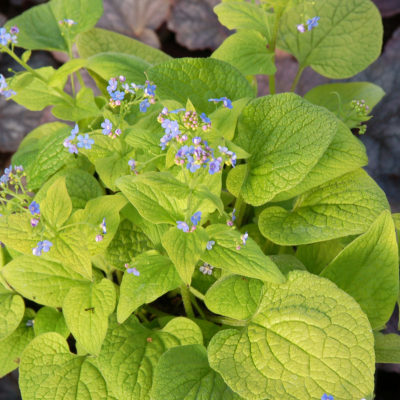 Short lavender blue flower late in the season. 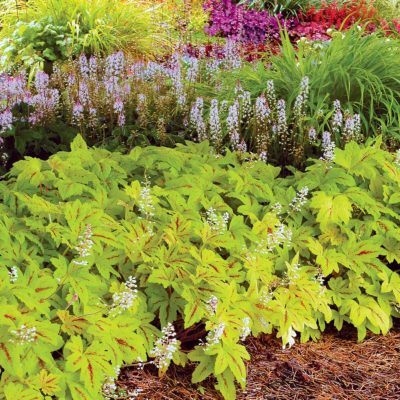 Could be used as a low mounding annual groundcover. 9" / 36" / –"
Unique low spreading habit and triangular leaf shape.